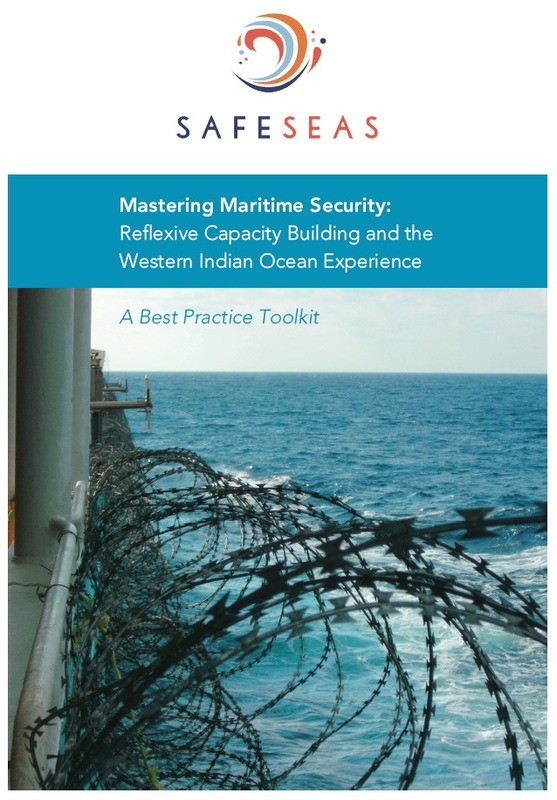 Maritime security, the blue economy and ocean health depend on each other (see box). Resource constraints demand that these sectors are closely coordinated and that efforts are not duplicated. Fishery services and environmental agencies hold information generated from their monitoring activities that is relevant to maritime security. 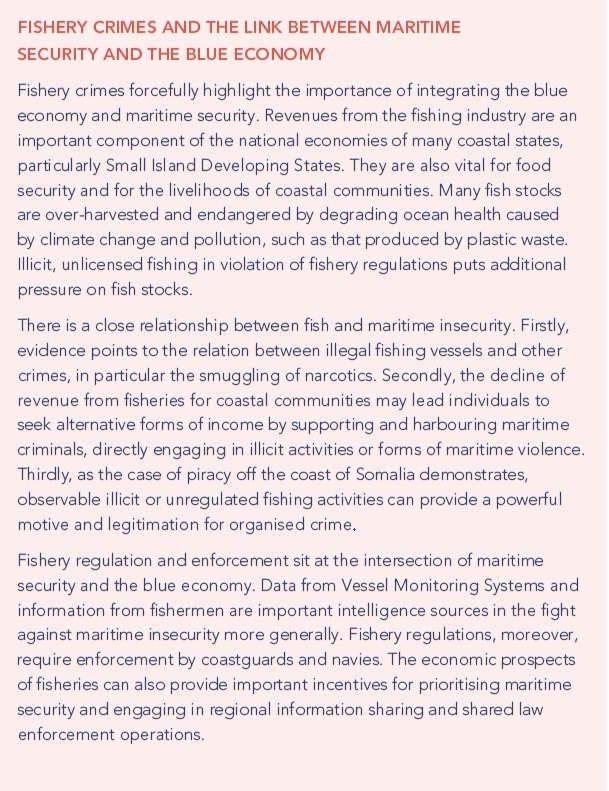 Regulation of offshore resource exploitation, monitoring of fisheries and environmental protection require law enforcement at sea. Successful maritime security policies require the integration of the blue economy and ocean health.